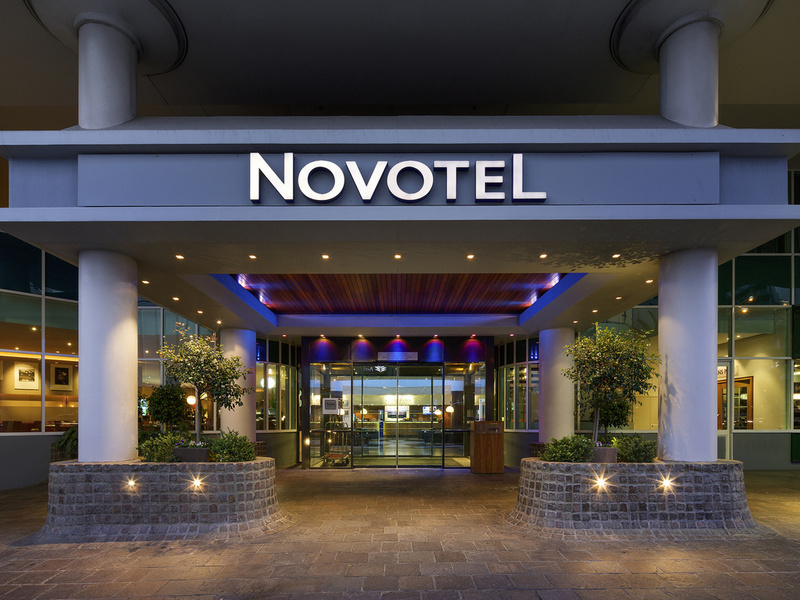 Choose 4-star comfort at Novotel Perth Langley hotel, a short walk from the city centre. A workout with Swan River views in the fitness centre and a healthy buffet breakfast in the light-filled restaurant start your day brightly. With airy rooms in light wood tones and muted colours, you'll find a haven for work or pleasure at Novotel. With Perth city centre on the doorstep, Novotel Perth Langley is the ideal base for both business and leisure travellers. Perth Airport is less than 20 minutes away, while buses and trains offer guests an easy way to explore Perth and its surrounds. With 256 guest rooms and suites, Novotel Perth Langley features a wide range of accommodation options, which include standard rooms, one bedroom apartments, deluxe suites and jacuzzi suites. Recently renovated, rooms feature new décor, soft furnishings, c arpet, bedding and bathrooms. Each room features air conditioning with individual temperature control, a TV with cable channels, an iron, Wi-Fi access and a work desk. Many rooms also feature spectacular views over the Swan River and Perth's city skyline. Sen5es Restaurant offers an extensive buffet breakfast, café style lunch menu, and intimate evening dining. Menus showcase the best local, and national produce whilst the wine list emphasises regional quality and styles. Our famous authentic Irish pub offers live entertainment, pub meals, Guinness on tap as well as a large range of ales and lagers. An outdoor terraced area is ideal for enjoying the delightful Perth sunshine. An elegantly appointed cocktail bar located next to the hotel lobby, this bar is perfect for a relaxing drink after work or perhaps a delicious cocktail before dinner. 룸을 업그레이드 받아 더 행복한 시간이었다. 호텔내 식당에서 저녁을 먹었는데 스탭들이 무척 친절해서 기분좋게 식사했고 방안의 침구나 여러가지것들이 편안했고 익숙한 느낌으로 집처럼 편히 지내고 왔다. 다시 가고 싶다. 특히 레스토랑에서 만난 조단이라는 분이 엄청 친절히 대해주셨다.